Can nature compensate for human impacts? Algal turfs dominating under acidified conditions at cold-water (temperate) CO2 vents, which we use at “natural experiments” to try and understand the effects of carbon emissions on our oceans. You can just see the fronds of a solitary kelp plant in the right of the photo, otherwise they are rare at the site (when they should be 8 – 10 plants per metre!). This is a system that has been pushed past its ability to resist or compensate for human activities. One thing that humans are really good at is having an impact on the environment through their activities. The problem is that we generally don’t realise that we’re having an impact until something changes in a drastic way. We talk about things called phase-shifts, where the environment changes from one “phase” to another. Good (and unfortunately common) examples are the loss of kelp forests for bare reef, seagrass meadows for bare sand, or coral reefs for algal habitats. In all of these cases, the environment has been degraded to the point where it no longer functions as it should, meaning that biodiversity and productivity are massively reduced. There are two questions to ask here, (1) why don’t we see these phase-shifts coming, and (2) does nature have any resistance to them? A new paper by one of my PhD students, Giulia Ghedini, shows that nature may actually try to resist human-caused stressors (such as increased nutrient pollution, ocean acidification, warming) by increasing the strength of compensation. In this case, Giulia found that the compounding effects of multiple disturbances increasingly promoted the expansion of weedy algal turfs (which replace kelp forests), but that this response was countered by a proportional increase in grazing of those same turfs by gastropods. This is a natural compensatory mechanism, but it has limits. What does this mean for our understanding of phase-shifts? First, it means that nature is stronger at resisting than we realised. BUT, because it is extremely difficult to either see or quantify this resistance we generally don’t realise it is happening…. until it stops. Then, once we push the systems past their ability to compensate for the increased pressure we place on them we see a sudden shift. It’s like watching a duck on a river – it may look extremely calm on the surface, seemingly stationary, but underneath it is paddling extremely hard. At some point the current strengthens too much and it can’t paddle harder and so, seemingly suddenly, the duck begins to float down the river. Unfortunately, when put together, this means that more systems may be more stressed than we realise, and the only way to stop detrimental phase-shifts is to take the conservative approach and start to reduce our impacts on these systems. For example, we know that nutrient pollution, carbon emissions, overfishing and many other activities have damaged marine ecosystems, why not begin to reduce our impacts before we add more systems to the list of those we didn’t realise were at breaking point? This post is basically a short synopsis of the work done by one of my (now ex-) Ph.D. students, Dr Laura Falkenberg. 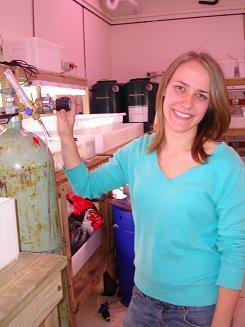 Laura’s work has turned much of what we thought we knew about the effect of increased CO2 and nutrients on its head; we found synergies where we didn’t expect them (reviewed in a book chapter) and system resilience and resistance to change beyond what we hoped (via strong competitive interaction and trophic links; published in Oecologia, PLoS One and Marine Ecology Progress Series). Laura has certainly helped us look at things in new ways and given us hope that in marine systems where synergies between stressors exist that management of local conditions could potentially buy us some time in mitigating climate change (e.g. 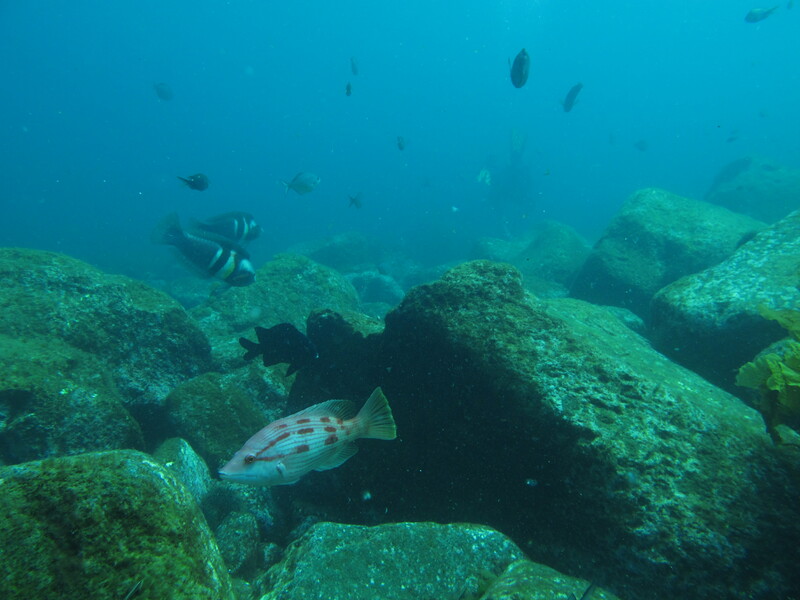 reducing nutrient flows into the marine environment, in Journal of Applied Ecology). Throughout my Ph.D., I assessed the conceptual model that while cross-scale abiotic stressors can combine to synergistically favour shifts in marine habitats from kelp forests to mats of turfing algae, management of local conditions can counter this change. My experimental manipulations found broad support for the hypotheses that; 1) cross-scale factors (i.e. 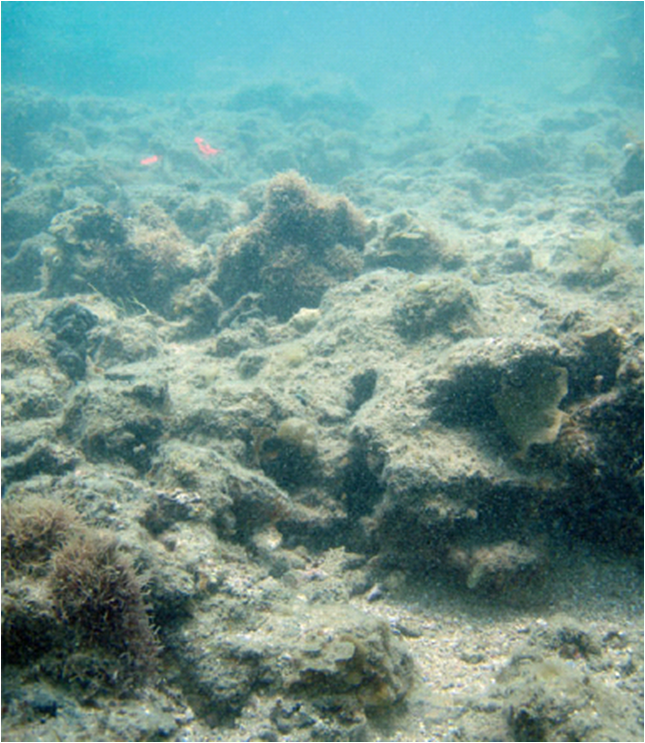 local and global) can have interactive effects which increase the probability of expansion of turfs but not kelp and, 2) management of local conditions (e.g. maintaining intact forests, limiting nutrient enrichment) can dampen the effects of global change (e.g. forecasted carbon dioxide). I published the results from my thesis in four papers. In the first, I showed that experimental enrichment of CO2 and nutrients influence the biomass accumulation of turf and kelp differently, with turf responding positively to enrichment of both resources while kelp responded to enrichment of nutrients but not CO2. Given that such direct responses could be mediated by interactions with other taxa, in the second paper I considered a key competitive interaction and revealed that the presence of kelp can inhibit the synergistic positive effect of resource enrichment (i.e. CO2 and nutrients) on their turf competitors. Similarly, in the third paper I highlighted the importance of herbivory by showing that under enriched CO2 conditions rates of this process were increased to counter the expansion of turfs. Finally, in the fourth paper, I considered a scenario in which these biotic controls were absent and identified that where multiple resources had been enriched and prompted a synergistic response (i.e. the expansion of turf where CO2 and nutrients are modified), subsequent reduction of the locally-determined factor alone (i.e. nutrients) substantially slowed further expansion of turf algae, but that the legacy of nutrient enrichment was not entirely eradicated. Together, these results represent progress in ecological tests of hypotheses regarding global climate change as they incorporate comprehensive sets of abiotic and biotic community drivers. You can access all of Laura’s publications from the University of Adelaide’s digital library, or email her for a copy. Disrupting synergies – making things not so bad. I’ve posted on synergies between environmental stressors (what most people think of as pollution) before. Basically, a synergy is when the impact of the two stressors, say increased CO2 nd nutrients, is greater than the sum of their individual impacts. Once you recognise that synergies can occur, and are often much worse than we predict, the next question is can we do anything to stop them? The short answer is in most cases yes. The way that synergies work means that, theoretically, if you remove one of the stressors then the “extra” impact should also be removed. In essence, if a synergy is 1 + 1 = 5, then removing 1 means that 1 + 0 = 1. When you’re talking about impacts to ecosystems that are essential to our GDP and way of life (not to mention that they have intrinsic value anyway) that is a really big consideration. One of my Ph.D. students has just published a rather elegant study demonstrating it is possible to disrupt a synergy between CO2 and nutrients that has the potential to cause the loss of our kelp forest ecosystems. Basically, where CO2 and nutrients cause the synergistic growth of “weedy” species of algae you can remove the nutrients and remove the synergy. There is, however, a caveat. If you wait to remove the nutrients from the system then a large part of the impact will remain – things won’t go back to normal. The thing that I like most about this outcome is that it provides useful information to the people who manage our coastal waters. If you are concerned that increasing concentrations of CO2 will have a negative impact in areas around major population centres then recycling and redirecting treated waste water away from the ocean, such as into industry or agriculture, can increase the resilience of marine systems. But, timing matters. Sooner is better. Algal turfs (brown fuzzy stuff) are overgrowing the hard corals at high CO2 concentrations near volcanic vents – a good “natural” experiment. 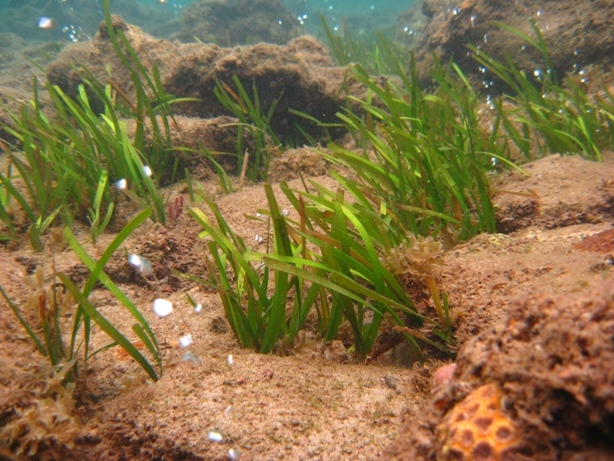 Note also that the seagrass (green, long leaves) are also doing well – a subject for another post. We frequently hear about “climate change” in the media these days. How could you avoid it? If you do a search of the scientific literature there are thousands of publications a year on the topic. When thinking about the worlds oceans, the most common things that we hear about are ocean warming or ocean acidification (aka. the “evil twin” of warming). Do you notice somthing about this statement? We hear about warming OR acidification. But is this a realistic scenario? We as scientists commonly break things down into their components and try to understand them one at a time. This is understandable, because the best way to comprehend the functioning of amazingly complex systems is to break them down their component parts and then put them back together again. In this case, however, we are just starting to understand that by breaking things down to individual conditions, either temperature or acidification, we may be missing the most important part of the study. 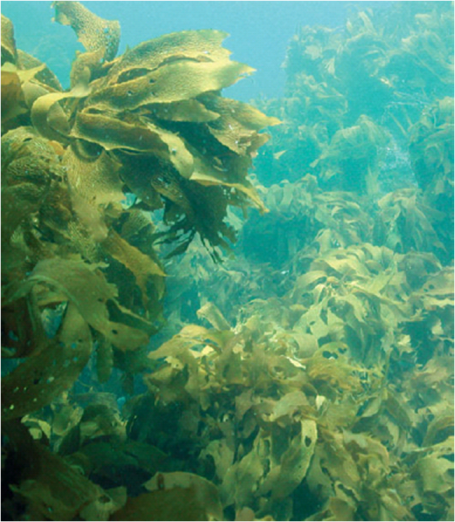 My research group started to realise this in 2009 when we discovered that, when increased in combination, carbon dioxide and nutrients had a massive effect on the growth of “weedy” species of algae which can help to maintain the loss of kelp forests (download the paper here). In hindsight, this result should not be so surprising – both carbon and nitrogen are resources which the algae use to grow. Isn’t hindsight a wonderful thing? What was surprising is that when carbon dioxide was elevated in the absence of nutrients these algae didn’t respond by grow faster. In fact, they didn’t respond at all to the increased availability of carbon. This means that CO2 and nutrients cause a synergistic response in these algae – where the response to the combined conditions is greater than the sum of responses to the individual conditions (see here for a good review on the topic). What now worries us is that increasing availability of carbon in the oceans will happen with ocean warming – these are not either/or conditions. Indeed, the first warning shots were fired when we discovered that these same “weedy” turf algae showed the same synergistic growth in response to combined CO2 and warming (see our results published here). We can do something about nutrient pollution (something I will post on in the near future), but CO2 and warming are inherently linked. I think it is time to not talk about warming or acidification but rather to discuss them in tandem. I love being a scientist. It can be the most self-indulgent of careers and I feel lucky to live in a society that allows me the freedom to pursue ideas and information. I have the opportunity to explore ideas about how humans interact with our oceans, how we do bad things to them, and most importantly to me, try to figure out how to help them recover. The first step is gathering this information so that people can access it. While scientists often disagree on things (a very important part of the job), getting a group of scientists together on a problem can truly help to pull together a massive amount of information very rapidly. In this spirit, the “Marine Climate Change Impacts and Adaptation Report Card (Australia)” was released last week. I am lucky enough to have been involved with two of the chapters, observed impacts of Ocean Acidification and observed impacts on marine Macroalgae. Unfortunately, I’d have to say that things aren’t looking good. We are only at the leading edge of some of the changes we are going to see over the next 100 years and some of the observed changes are already bad. An example that most people wouldn’t know about (because you can’t see it from the surface) is the shift in the distribution of some algae. Algae, aren’t they just the “seaweeds” that we see washed up on the beach? Well, yes, but before they get to the beach they are the foundation of many food webs of the ocean; if they are lost then so are the ecosystems that they support. I must be honest here, when we started this project I didn’t actually expect to find anything to have happened yet, but it has. We have documented substantial southward shifts of entire assemblages of these algae on both the east and west coasts of Australia.Why? The waters of both coasts have warmed rapidly over the past 50 years. In fact, the Leeuwin Current was so strong this year with warming and El Nino that it pushed well into South Australia (see here for a Sea Surface Temperature image from IMOS). Not unheard of, but becoming stronger and more common. Are we in danger of losing our iconic kelp forests? If so, what will happen to the ecosystems that they support (including 100’s of millions of dollars worth of fisheries)? Only time will tell, but I sincerely hope we can figure out a way to help them…..